The Spey Mobile Commode comes with detachable arms, allowing for easy transfer out of the side, and the back is also detachable for storage purposes. 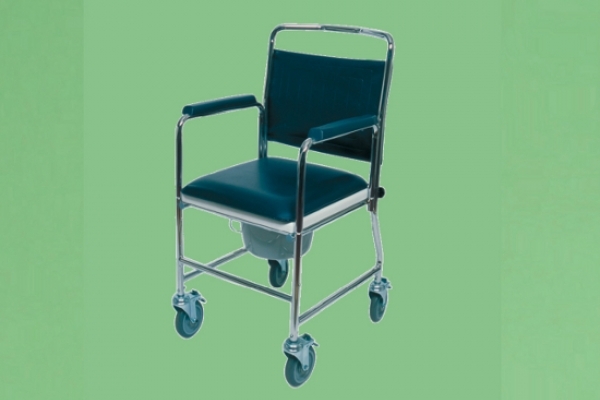 The commode comes with 4 swivel brake castors for easy movement and control. Also, the bowl is removable, so making waste disposal easier. There are two options for the bowl, it can either be bought with a square bowl or regular round bowl. It can be wheeled over a standard toilet.